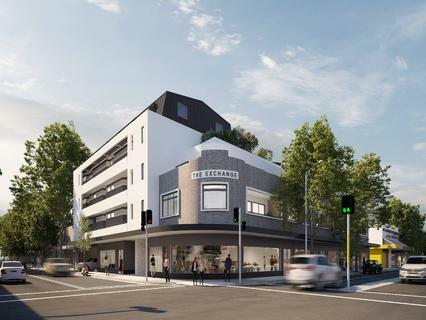 The Exchange is a boutique low rise development offering 32 luxury 2 or 3 bedroom apartments, impeccably crafted with innovative design features and finishes of the finest quality. The architects have drawn inspiration from the urban building locale which has influenced this unique colour palette chosen for these apartments. Every aspect of these beautifully finished apartments is infused with natural style. One that marries luxury, comfort and outstanding design with a contemporary urban mood. Featuring two beautifully landscaped resident’s gardens, discover private views over the leafy established canopies and onto the unmistakable Sydney skyline beyond. A place to gather with friends and family, the stylish rooftop garden offers elevated views over Sydney and a calming retreat from the urban clamour. Under construction by leading builder H Built Constructions and designed by Environa Studio, an award winning Sydney based architecture practice. Proudly developed by prestigious developer Woniora Investments.